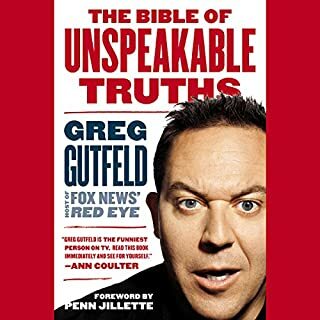 Renowned fake conservative pundit Stephen Colbert may have coined the word truthiness, but it's Greg Gutfeld, real conservative political pundit and host of the Fox News Channel's Red Eye, who has made a name for himself by unabashedly pronouncing the actual uncomfortable truthiness of life that is sure to shock the P.C. The Bible of Unspeakable Truths is packed full of his most aggressive (and hilarious) rants, with each chapter devoted to a single "unspeakable truth". Positively Horrible... by that I mean Outstanding! Greg Gutfeld hates artificial tolerance. At the root of every single major political conflict is the annoying coddling Americans must endure of these harebrained liberal hypocrisies. In fact, most of the time liberals use the mantle of tolerance as a guise for their pathetic intolerance. And what we really need is smart intolerance, or as Gutfeld reminds us, what we used to call common sense. The Joy of Hate tackles this conundrum head on- - replacing the idiocy of open-mindness with a shrewd judgmentalism that rejects stupid ideas, notions, and people. 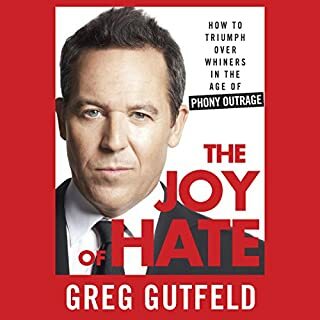 In the past few years, Fox News host Greg Gutfeld has covered everything from crazed academics, to unhinged celebrities, to the wildest election in recent history on his shows The Five and The Greg Gutfeld Show. 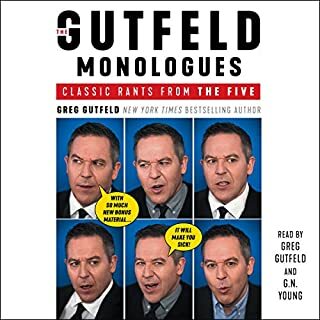 In The Gutfeld Monologues, he brings together his best and favorite monologues in this funny, unconventional collection for new and longtime fans alike. This book isn’t your grandmother’s anthology collection. From politics to the personal, from fashion to food, from the campus to the locker room, the desire to be cool has infected all aspects of our lives. At its most harmless, it is annoying. At its worst, it is deadly, on a massive scale. The Cool are the termites of life, infiltrating every nook and cranny and destroying it from within. The Cool report the news, write the scripts, teach our children, run our government - and each day they pass judgment on those who don’t worship their coolness. Ben Shapiro uncovers the simple strategy used by liberals and their friends in the media: bully the living hell out of conservatives. Play the race card, the class card, the sexism card. Use any and every means at your disposal to demonize your opposition - to shut them up. Then pretend that such bullying is justified because, after all, conservatives are the true bullies and need to be taught a lesson for their intolerance. He's brash, brilliant, and drawn to controversy like a moth to a flame. For decades, Mark Steyn has dazzled audiences around the world with his raucous wit and brutal honesty. Whether he's sounding off on the tyranny of political correctness, the existential threat of Islamic extremism, the "nationalization" of the family, or the "near suicidal stupidity" of America's immigration regime, Steyn is always provocative - and often laugh-out-loud hilarious. Since the day Donald Trump announced his presidential campaign, the left has waged a demented war against him. Liberals used to pride themselves on their ultra-hipness, but Trump has turned them into weeping little girls in pink party dresses. The very people who once mocked right-wingers for (allegedly) overreacting to every little thing are now the ones hyperventilating and hatching insane conspiracy theories. It's not enough to be right these days - especially when you're not left. To survive, the right must learn how to express nonliberal principles as effectively as possible and persuade others of their point of view. It is an art that demands patience, research, humor, understanding, creative thinking, learning from your opponent, and even mimicking their tactics. 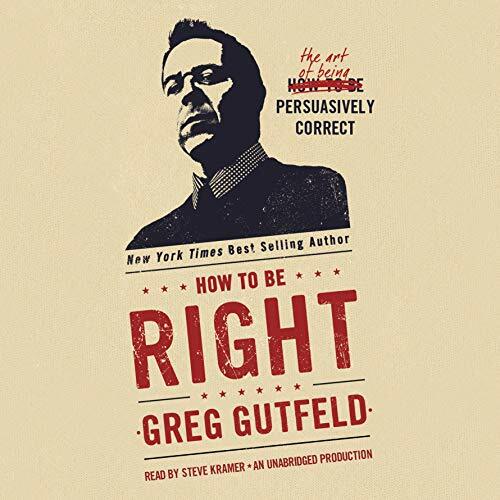 In How to Be Right: the Art of Being Persuasively Correct, Gutfeld reveals the strategies that have helped him keep a steady job for almost three decades. 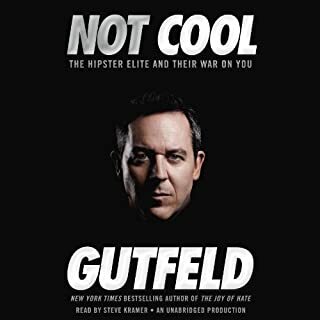 From "Discard Your Outrage" and "Outcompassion Them" to "Find the Right's Obama" and "Use your Mom", Gutfeld gives listeners the tools they'll need to argue, influence, and convince their friends, family, and foes throughout the 2016 election cycle. 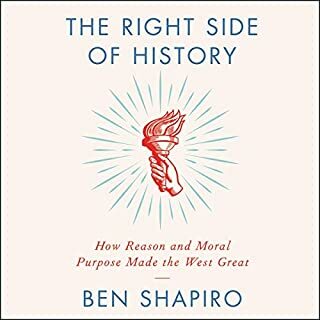 In a world where communicating ideas has been reduced to 120 characters or less, this book reminds us to be informed, not be too serious, and not be afraid to engage a liberal. Great book but to me it loses a certain connection when it is not read by the author. Especially when someone like Greg has a unique voice and would have added to all of the sarcasm in the book. It's just not the same when a random narrator reads his sarcastic points with no real connection...the narrator probably doesn't even know who Greg is. I love the book, but it is frustrating & disappointing when media members that speak for a living can't deliver the narration for their own book! Greg did for his earlier book, but not the last two. 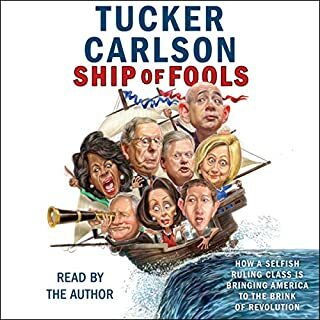 I seldom if ever listen to nonfiction it bores me to death but this was funny, entertaining and I actually learned a lot especially why I don't like liberals. Steve Kramer...not the greatest narrator. Good book and content, Steve Kramer and his horrible narration killed the experience for me. I found this book very informative it really did teach me on how to approach a lot of topics and on how to do with some humor but also with some severe seriousness. I do love this book here and I would recommend it to anyone who loves either reading or listening to any audio books. Great book. Gutfeld is a genius and of the best writers ever. I'll eventually read all of his books. I do wish Greg actually read the book. Other than that, it was funny and informative. Great for when you are the only conservative in your place of work. Great book. I enjoyed it very much. Great book. I enjoyed it very much. I love Greg's humor. He is probably the only political opinion I can stomach. I prefer to hear Greg read his own books. Narrator is ok but no one pulls off Greg's humorous lines better than Greg, himself. A writer's work should be presented in the most favorable manner. Greg's personality, speaking style and idiosyncratic charms are a strong component to the voice he creates in his work. His books would benefit greatly if he read them himself.